John Horgan is a top-notch science journalist, but he’s looking toward consciousness research to discover where science is heading. John Horgan: I think consciousness studies is the most exciting frontier in science right now. I’m really burned out on cosmology and particle physics. They’re still peddling multiverses and string theory and it seems stale… and I don’t even think it’s very scientific. But, by default, I still am a materialist to the extent that I think if there will be understanding of consciousness, and mind in general, it will come from probing the physiological underpinnings of the mind which, as far as we know, is the brain itself. Alex Tsakiris: What I have a problem with is the fundamental assumption — the paradigm — “mind=brain.” [This idea] that you are a biological robot in a meaningless universe. But the real thing that bugs me is we have good evidence that [this assumption] has been falsified. And if you look at the story arc, 20 years ago no one was talking about consciousness being an emergent property of the brain (a popular theory in consciousness research suggesting your mind mysteriously emerges from the brain by some unknown process). And there wasn’t some discovery that brought that on. It was a default/fall back position, because these guys who are peddling this “consciousness is an illusion” thing, got beaten down by the data. 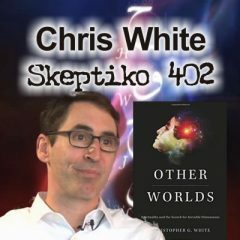 John talks about where his love of science began and how the topic appealed to his quest to explore the deepest truths of the universe and consciousness. Alex Tsakiris: Today we welcome award-winning science writer and author, John Horgan. 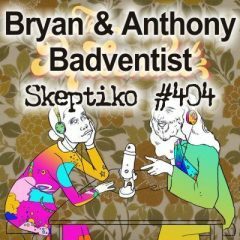 John has written a great deal about scientific dogmatism, materialism, consciousness, and so many of the other topics we love to talk about here on Skeptiko. 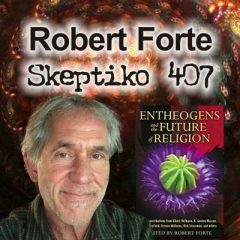 He’s also written several books that we’ll want to talk about in this interview including, The End of Science: Facing the Limits of Knowledge in the Twilight of the Scientific Age; Rational Mysticism: Spirituality Meets Science in the Search for Enlightenment; and The End of War. 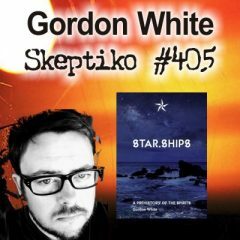 John, it’s great to have you on Skeptiko. Thanks so much for joining me. John Horgan: Thanks for having me on, Alex. Alex Tsakiris: First off, I have to congratulate you on this fabulous career that you’ve been able to put together. You’re really a terrific writer but as you know that doesn’t often translate into having a successful, sustainable career. I think you give hope to people who love to write and love science. Especially for people who aren’t afraid to ruffle feathers, but don’t know if there really is a path for them to be honest in their writing. So, I guess the first question is, how did a provocateur like you make it as a science writer? And number two, is it still possible for someone to do the same? John Horgan: I certainly hope so. Thanks for that very flattering introduction. When I got into science journalism it was in the early ‘80s, and I think I entered it as a conventional, what I call “gee-whiz” science journalist. In other words, I love science. 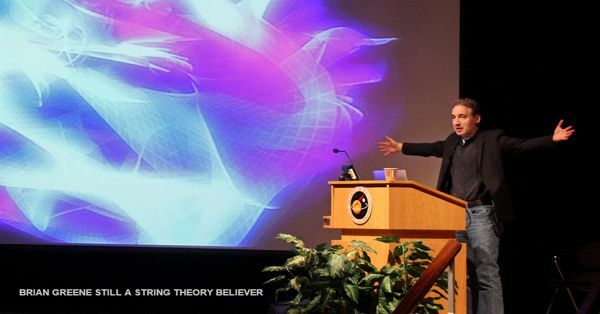 I’ve always loved it since I was a little kid and after I lapsed from Catholicism I thought of science as being our way to ultimate truth; an understanding of the universe; an understanding of ourselves and I wanted to explore all these ways that science has of telling us what’s going on in the world, and at all levels. Revealing the deepest possible truths that humans can learn and I wanted to convey that knowledge to the public from the scientists themselves. I think that’s how most science journalists look at their profession: being the conduit from the scientists to the public and celebrating science. And then something happened — that was the early ’80s and I started working at Scientific American and I went through a period of disillusionment, and that’s when I became “the provocateur” that you describe; somebody who is actually quite critical of many aspects of science and some of the things that scientists are saying. And [I] began getting quite skeptical of string theory and unified theories of consciousness and some of these really exciting avenues for explaining the world. Addressing the ongoing rigidity of mainstream science and its reductionist baseline, Horgan stresses the need for a shift away from old ways of thinking. Alex Tsakiris: I’m totally with you, John. Although I think that really points to the larger problem with science that you touch on very nicely in your book, but also in your blog and your many writings: science has become the “emperor with no clothes.” So when science says, “there is no free will.” Or science says, “you are a biological robot” like Dawkins says… I think it loses credibility and people just move on. It’s like being lapsed-Catholic. I have Catholic friends like this. They don’t really believe any of that stuff. They may go to church, go through the ritual and go out and have a beer with their buddies after and watch the game. I get that. That’s a practical way of doing it. I think that’s what science has become. No one takes this seriously — “I have no free will.” You’re an idiot if you think that. 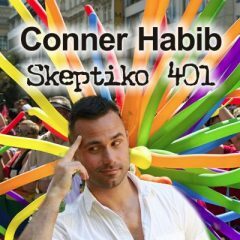 “I’m a biological robot living in a meaningless world and I don’t have the love that I think I have for my family, for my children, for my wife”… c’mon, that’s an absurd idea. John Horgan: Well, I still cover science, and even though I’m extremely critical in much of what I say about it, I still love science. I still think that science is our most powerful source of knowing ourselves and the universe although I read a lot of literature, and watch a lot of movies though I think the arts are absolutely necessary to contemplate our scientific way of knowing the world. But I do think that things are wide open right now, and it’s a weird time. There are some scientists who are digging trenches and becoming very arrogant and rigid, and doubting and hostile toward other ways of knowing including the arts. And, as you say, philosophy and certainly religion. If we want to get more explicit, maybe we would have to talk about the possibility of God, and the possibility of the transcendent and the supernatural; the possibility of ESP. I think maybe where you and I differ is just as I am extremely skeptical of string theory, and all the theories of consciousness, and the origin of life that are out there right now. I’m also an ESP skeptic even though some of my best friends are believers and believe in ghosts, and in reincarnation and so forth. On the topic of telepathy, Alex talks about Sheldrake’s “Dogs That Know When Their Owner’s Are Coming Home” experiment and the impressive results that came from it. John Horgan: Well, you may have seen that I had a Q and A with Rupert Sheldrake last summer. 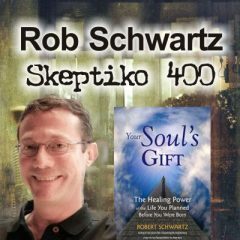 Rupert Sheldrake was certainly one of the most, if not the most, prominent scientific proponent of the possibility of ESP and other psychic phenomena. He also believes in God. I assume he believes in the afterlife although I’m not sure. And I don’t believe in any of those things, and yet I met Sheldrake at a conference in England last summer and I just really like the guy. He’s brilliant, and extremely knowledgeable and sophisticated when it comes to science as he should be because he was trained at Cambridge, one of the great universities in the world. [He] has a PhD in Biology. So I did a Q and A with him for Scientific American which is … to the extent that it has an ideology … it’s extremely skeptical and anti-ESP. It has Michael Shermer, the prominent skeptic, as a columnist. But I meet somebody like Sheldrake and I realize I can’t just dismiss this out of hand. 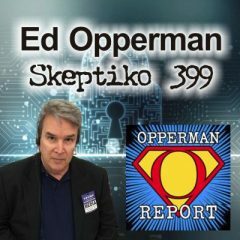 I haven’t seen enough to convince me that ESP is real, and in part because of encountering Susan Blackmore and interviewing her. But, I don’t know. This is a crazy world we live in and I’m sorry I have to fall back to the position that I know you’re tired of hearing — more research needs to be done, and more thinking needs to be done about these things. Alex Tsakiris: Sure, “more research needs to be done,” as we block that research at every turn. Sheldrake is great. 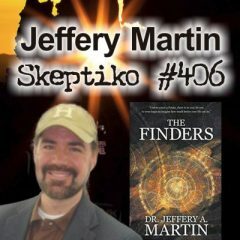 I have great admiration for him and he’s been on the show probably a half dozen times, and he wrote the forward to my book, Why Science is Wrong About Almost Everything. 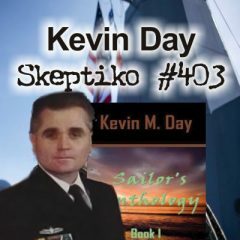 In my book, and on this show, I dug extensively into his telepathy research with dogs. I know you talked with him about it because I read your article, but you probably didn’t dig into it to the extent that I did, including [looking closely at] his debunker, who completely embarrasses himself, Dr. Richard Weisman. So, let me give you a thumbnail sketch. Sheldrake has these reports from people that say, “hey, my dog seems to know when I’m coming home… I come home at odd hours and my wife says, 15 minutes before you get there the dog’s at the door.” So he starts collecting all these stories; just as a biologist [would]. He’s interested in nature and how the world works. He gets enough [stories] and he says, okay, I’m going to devise an experiment. The experiment’s pretty easy. You put a video camera on the dog. You put a video camera on the owner. You send the owner out and bring him back at random times. Sheldrake did this experiment 200 times and got off-the-charts statistically significant results. Anyone can go to his website and look at that. Weisman comes in; does four trials, and completely changes the protocol in a really weird way. Then goes about with this 10-year campaign claiming [to have debunked Sheldrake’s work] and even claiming that he’s the originator of this research. It’s shameful. So, do we need more research into it, John? Sure, I’m all for that. Do we need a man-on-the-moon effort to see what it is? Sure. Are we ever going to see that? Is the system ingrained and devised in a way to prevent that from happening? You bet.